Can’t stop thinking about last week’s Practice? Wish there were more ways to engage the content or go even deeper into ‘give us this day our daily bread’? Well look no further, because we’ve gathered a few recommendations and resources for you to help the tribe dive deeper into the Lord’s Prayer around ‘give us this day our daily bread.’ Each week we hope to post more and more resources relating to each week’s message to help encourage and direct us in our kingdom practice and understanding. 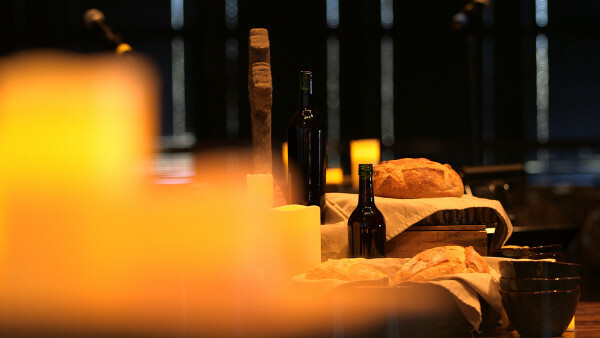 This Visual Liturgy by “The Work of the People” on give us this day our daily bread. If you’ve never used a visual liturgy before, it’s like having a liturgy service right where you’re sitting. I love to use visual liturgies during a quiet time or in response to my day. It creates a wonderful space for reflection and contemplation. I just wanted to leave a word of appreciation for this message. I am in northern Minnesota, but through a series of events, I came to listen to the “Give Us This Day Our Daily Bread” audio message, and it answered a question I have been wrestling with recently. God has been leading me away from a very religious, worry-filled, and frankly, Godless spiritual life into something deeper, more intimate and more trusting of him. This message spoke exactly to where I am living now. I praise God and I thank you very much.